Since the inception of Zangdok Palri USA in 2003, Lama Chödak Gyatso diligently and carefully assembled a core of experts—both Tibetan and American—to carry out his vision of building this massive architectural Mandala. Tibetan master craftsmen and artists, who hold the esoteric knowledge and understanding of this rare artform, and renowned American architects, who ensure adherence to the rigorous building codes and standards, have been assembled and are committed to building Zangdok Palri. This project is a true collaboration and perfectly expresses Ari Bhöd’s mission to preserve the sacred artistic traditions of Tibet. The Ven. Lama Gompo Tenzin, having entered monastic life at the age of seven in 1927, studied four sciences: logic, philosophy, language, and the arts—mastering all to a degree that rendered him both highly regarded and widely sought by the great lineage-holders of the Nyingma tradition as an educator/tutor in these areas. He is renowned as a Master of the science of art—in the areas of religious thangka painting, calligraphy, the crafting of religious ritual items and the architectural design of three dimensional mandalas and temples. Not only possessing the knowledge and skill of the physical attributes of these areas, but also the more complex religious symbology and implications which accompany them. Throughout his monastic life he has maintained the purity of his vows with a simple, yet admirable dedication to his religious beliefs despite the many hardships encountered. Serving the many great Nyingmapa lineage holders of his time, most notably the former head of the Nyingma sect, His Holiness Dudjom Rinpoche. Venerable Lama Gompo Tenzin has been a valuable asset to their endeavors. His qualities are an essential component of his current role in the Zangdok Palri USA Project for The American Foundation for Tibetan Cultural Preservation, (Ari Bhöd); with its founder, the late Venerable Lama Chödak Gyatso, declaring him to be one of “Tibet’s Living Treasures”. Pema Namdol Thaye is a master Tibetan artist who has garnered international acclaim as a painter, sculptor, and three-dimensional Mandala specialist. Trained since the age of thirteen by his uncle, the Ven. Lama Gonpo Tenzin, Pema Namdol studied and mastered the rigorous curriculum demands of the highly specialized and complex 1200-year-old Tibetan artistic heritage. There are only a handful of living artists able to claim Pema’s depth of knowledge of this ancient lineage. Pema’s contribution to the global appreciation of Tibetan art includes authorship of two books to date, Concise Tibetan Art Book (published at the age of 20 in 1987), and Tibetan Art: Portrayal of Mysticism (2000, G.C. Shannon, N.S.W Australia). 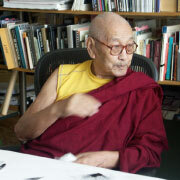 His work has been exhibited in American and European museums, and his most recent solo exhibition was held at the Tibet House, New York in 2009. Working both together with Lama Gonpo Tenzin, and independently, Pema Thaye has built six three-dimensional Mandalas in the last twenty-five years. The two most elaborate, the Shi-tro Mandala for Universal Peace and the Zangdok Palri Mandala (the Zangdok Palri USA detailed scale-model replica) are the first, and only, three-dimensional Mandalas ever constructed in the United States. Michael Rotondi, FAIA, is the principal of RoTo Architects, and has practiced and taught architecture for the past 30 years. 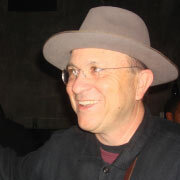 He was a founding partner of Morphosis (1975-1991), and together with Clark Stevens he founded RoTo in 1991, where he is currently the sole principal. He was a founder of the graduate program and first Director of Graduate Studies at SCI-Arc (Southern California Institute of Architecture) between 1980-1987, and then served for ten years—1987 to 1997—as the school’s Director. He currently teaches at SCI-Arc and serves on the school’s Board of Directors. Venerable Lama Nawang Thogmed is the personal artist for His Holiness Trulshik Rinpoche. He has planned, painted and directed the completion of traditional temple art and design for numerous monasteries and temples throughout Nepal. Renowned in the Tibetan monastic community in exile for the integrity of his work and strict maintenance of the ancient traditions of “old Tibet”, Ven. Lama Thogme is a master of ritual arts, and is often sought out to train many of the monks of the Nyingma and Kagyu lineages throughout India and Nepal in the complex art of mandala-making, specifically that of sand mandala. 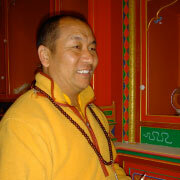 Venerable Lama Thogmed is an accomplished practitioner and a fully ordained monk (Bikshu). As a young child, Ven Lama Thogmed began his formal monastic education in Sharlo Kumbo, at the monastery of His Holiness Trulshik Rinpoche. He has received empowerments, teaching and instruction from some of the greatest Tibetan masters of this age. As a child, Lama Nawang Samten (Lama Lhundrup) began his formal training in temple crafts and carving with the renowned master artist and temple craftsman Venerable Cho Phonsok. Venerable Phonsok, as well as senior lama experts in India, Nepal, and Tibet trained him in the intricate art of woodcraft. Lama Lhundrup received his formal Buddhist training and instruction from numerous lamas, including His Holiness Trulshik Rinpoche and Venerable Lobsang Rinpoche of Norbu Linka Monastery. By the time he was a teenager, he had already completed his extensive training in the instruction on Tibetan Arts of Dharma Building and Housing for the Practice of Dharma. A master carver and craftsman, many of Lama Lhundrup’s unique skills have been extensively employed at Ari Bhöd’s retreat land Pema Drawa, where he has completed all of the hand-carving and intricate woodwork of the traditional Tibetan shrine and temple. 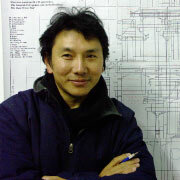 Lama Lhundrup’s unique carpentry experience and authentic training in the traditional art of temple building make Lama Lhundrup an immeasurable asset in the ongoing construction and elaborately detailed finish work of the Zangdok Palri USA Mandala.